Cape Cod Vacation Rental Leads For vacation rental owners and rental agents. Connect with more vacationers and expand your rental business. Supplement your listings on Homeaway, VRBO, WeNeedaVacation, etc... with more vacation rental inquiries. Respond to leads from vacationers that are looking for your Cape Cod vacation rentals right now! To get started, simply enter your email address below and click the subscribe button. You'll receive a once daily digest of the latest Cape Cod vacation rental leads delivered right to your inbox. To respond to any requests from vacationers, you'll need to apply for a free membership. We manually verify all our owner/agent members before they are allowed to respond to vacationer requests. 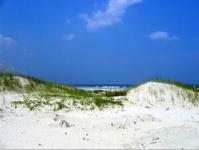 To find out more about how CapeCodSummerRentals.Net works for vacation rental owners and agents, click here.